I believe that everyone has an inner strength and the ability to make changes in life - sometimes we just need a little help to recognize these strengths. I believe that through the process of therapy, we can uncover these strengths to live happier, more fulfilling lives. Maggie has more than 10 years experience working with adults, adolescents, families, and schools in the Washington, DC area. 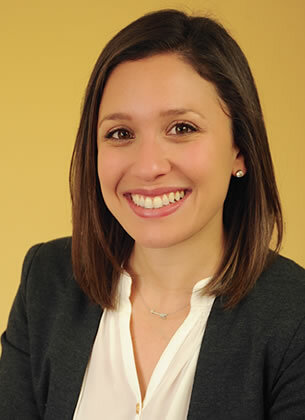 After teaching and coaching at a local independent school, Maggie decided to pursue her MSW in order to work with adolescents and families in a new capacity. Maggie believes in the importance of a strong therapeutic relationship in creating and promoting positive change. She focuses on the individual strengths of each adolescent and family by increasing their self-esteem, and working with them to create a happier, more fulfilling life. She specializes in teen therapy, treating teens experiencing problems with mood and at-risk behaviors. Clients find her easy to relate to, warm, focused, and energetic. Maggie understands teen development and current adolescent struggles, which helps her in supporting families and parents in their goals of improving communication and functioning. Maggie enjoys working with adults and young adults by combining Cognitive behavioral therapy and a relationship-based approach. She specializes in working with adolescents and young adults, particularly those struggling with relationship issues, going through life transitions, and dealing with anxiety and depression. She treats women struggling with infertility, pregnancy loss, and the transition to motherhood. Her work also includes adults and couples transitioning into parenthood. Maggie obtained her BA in Psychology at Kenyon College and her MSW at the Catholic University of America. 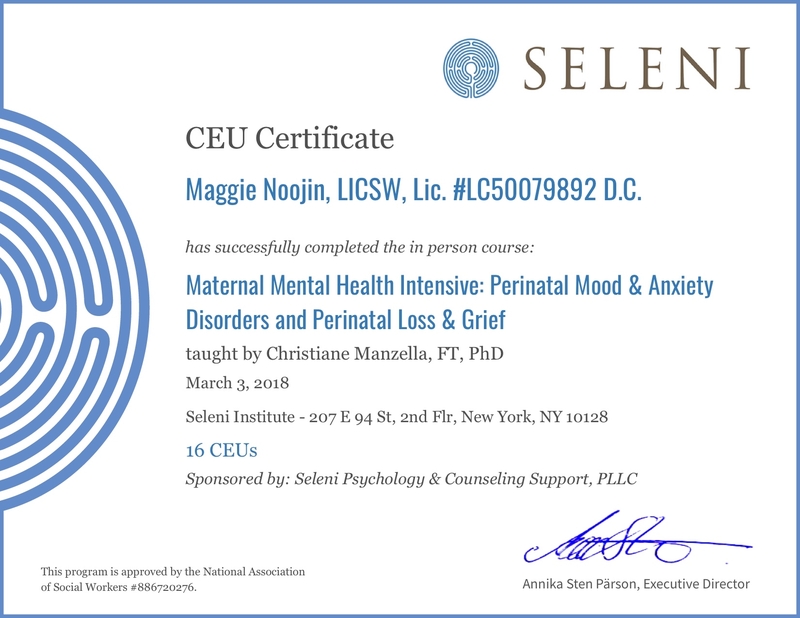 Maggie holds her licensure at the clinical level in Virginia (LCSW) and the District of Columbia (LICSW). Maggie has completed training and holds a Seleni Institute Certificate and Badge for Maternal Mental Health Intensive Training.